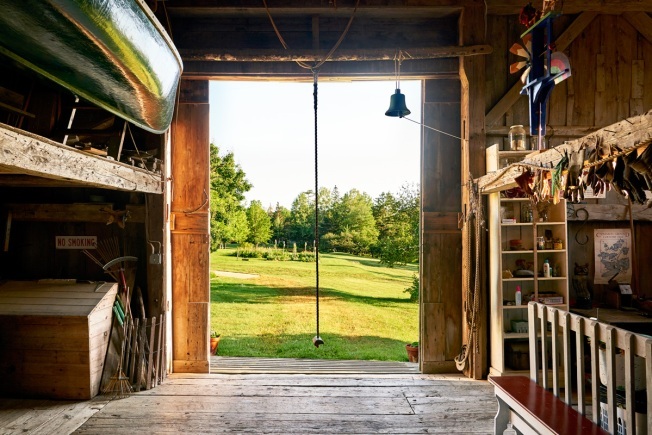 A 44-acre saltwater farm in Maine where E.B. White penned "Charlotte's Web" is up for sale for $3.7 million. The Brooklin home where White lived until his death in 1985 includes a barn that was the setting for the beloved children's book featuring a pig named Wilbur and a spider named Charlotte. The home dates to the late 1700s. White and his wife, Katherine White, bought it in 1933. Down East Properties listing agent Martha Dischinger says current owners Robert and Mary Gallant, of Anderson, South Carolina, are ready to sell after more than three decades of ownership. She said Wednesday the property retains many historical touches and the owners maintained the gardens tended by Katherine White before her death. E.B. White also wrote "Stuart Little," another children's book.